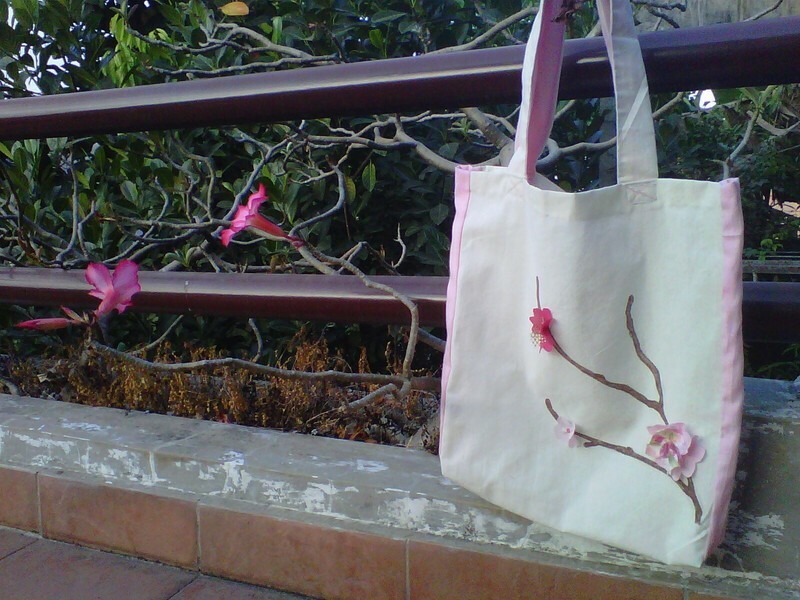 cute and stylish Japanese tote, easy and fast! cut 4 pieces of 4x55 cm fabric for the bag handle. 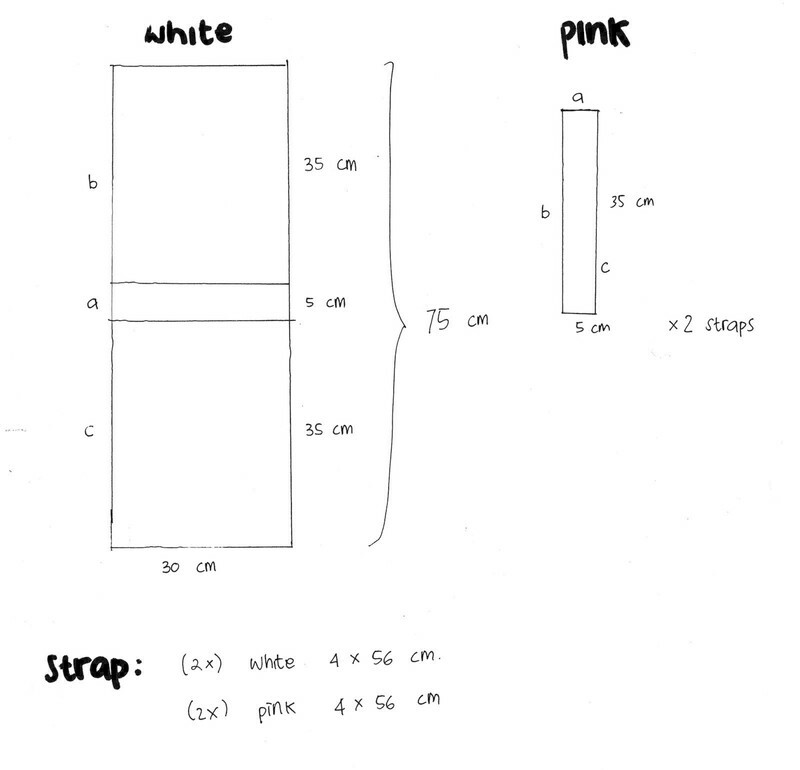 I made 2 white and two pink and mismatch them as a variation. 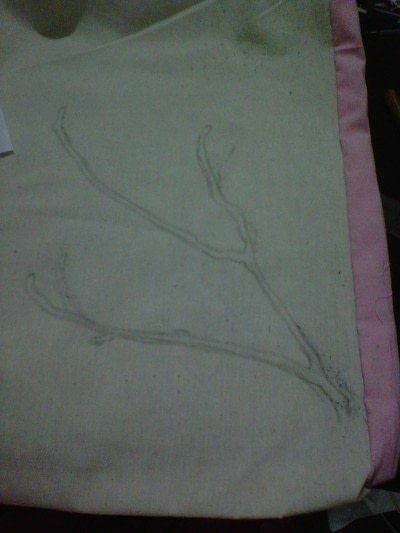 Don't forget to add the seam allowance, about 1"
draw your twig with a pencil. make sure to make a clear lining so it's easier to trace with the fabric ink pen. I'd recommend you to find a reference picture to make your work easier. 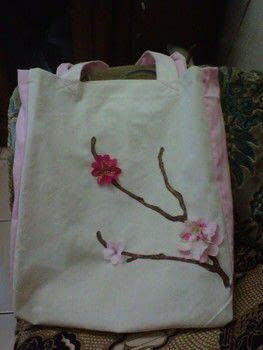 Outline your picture with the brown fabric ink pen. then color the inside part carefully. My tips is, be creative. Don't block them all with the same tone. Play with the fabric structure to get different kind of tones to make the twig look more realistic. 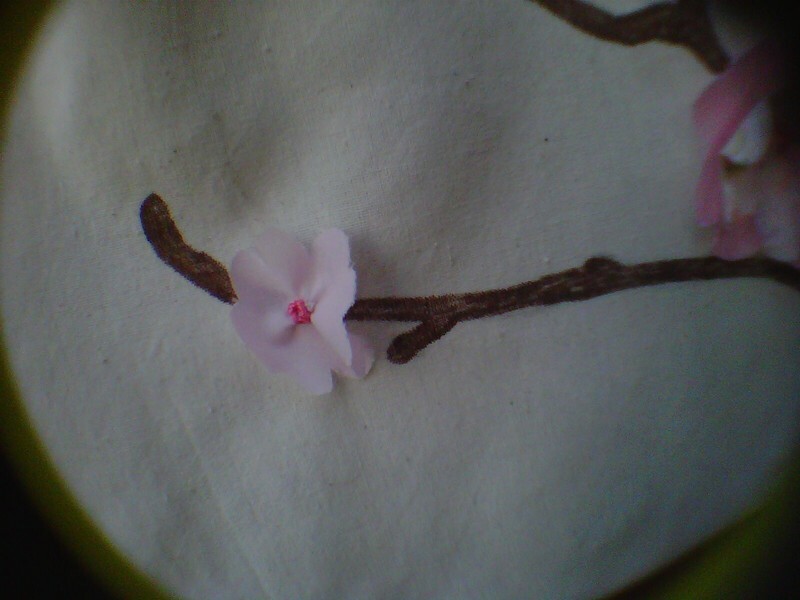 Remember that you'll need to sew the flowers one by one. This is a little tricky. 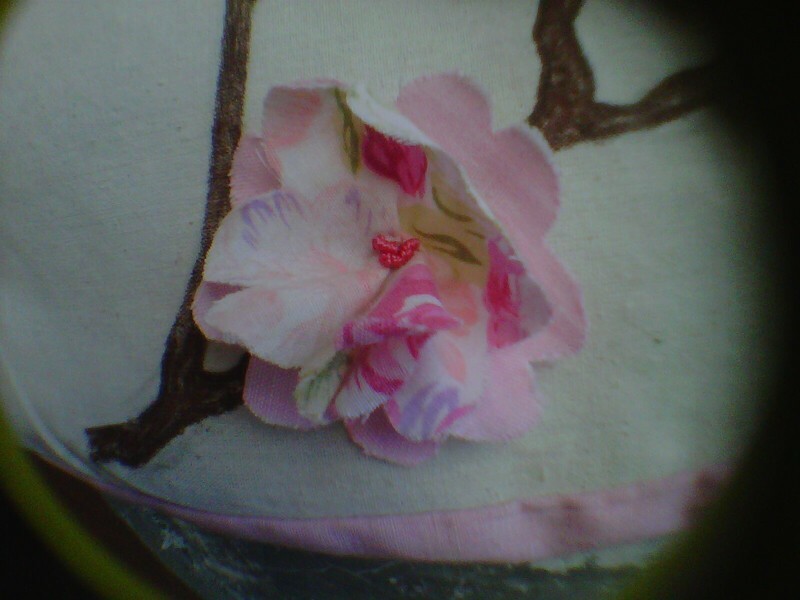 Fold the center of the flower a little so it gives the blooming look. Hand sew the fold and sew to the twig. Add as many flowers as you want. I only made 4 and create one large one from two different pieces so in the end I got 3 flowers in different sizes. place the flowers carefully to the twig, then glue or handsew. I'd recommend handswe, though. 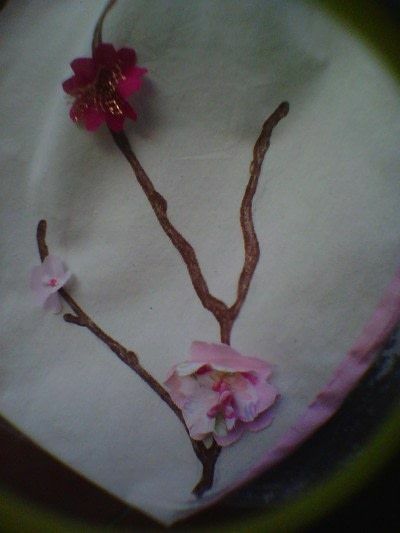 Tips: to get an even more realistic flower, you can add 3 bullion stitches of each in the center of the flower. 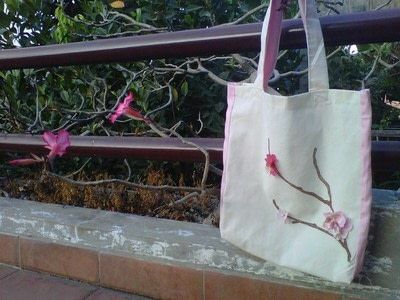 tips: I'd suggest a double stitch and X - shape stitch to make the strap and bag attached better. PS. sorry for the lousy pics.